Have you ever wondered what brings in water to your untidy and not so well-maintained water tank? The piece involved here is the toilet fill valve. Is your toilet acting up? 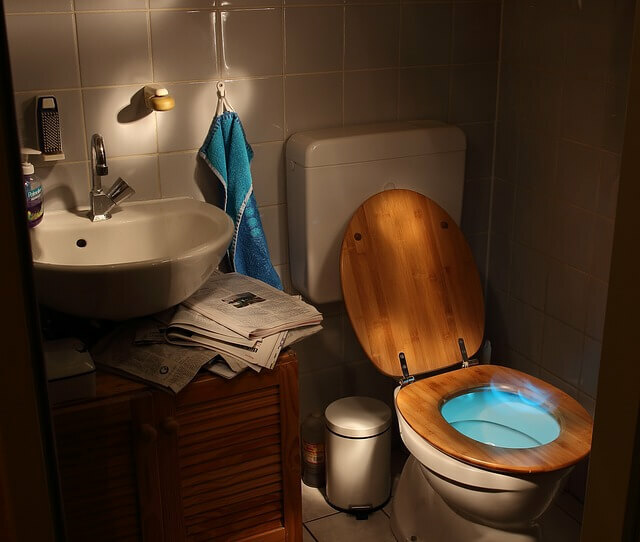 Read on to find out if you’re having toilet fill valve problems. If your toilet is leaking, check out our article on leaking toilet tank bolts. How Does The Toilet Fill Valve Function? Water starts to rush inside the tank until it becomes full and ready for the next flush. The valve immediately shuts off when water has no room for further accommodation. What if you have toilet fill valve problems at the heat of the moment and you have no other option? And, do not confuse this fill valve for running toilet issues. The valve’s job is to make sure you have no traces left behind. The fill valve contains a seal, and it just shuts off water, not allowing it to escape. However, a running toilet is caused by the toilet flapper valve failure. What Causes Toilet Fill Valve Problems? Over a period of time, these problems cause the poor little thing to wear out and become useless. Therefore, it’s highly recommended to change the fill valve, because it’s hard to find its spare parts. So avoid chasing a wild goose and consider changing the fill valve before your next session. Turn off water supply and drain the tank. Inside the fill tank, lift the float cup up and keep it that way. Place another hand over the valve cap and turn it counterclockwise along with the lever. Once unlocked, you can remove the cap and the lever from the valve tank. After removing the cap, search it for any debris that may have stuck with it. Also check inside of the tank. Turn on the water supply again while holding the cup upside down to clean the garbage. Once cleaned, you can put back the cap and the lever by pressing it to their position and turning them clockwise. The steps given above will solve one of the most common toilet fill valve problem’s, which is: scattered pieces of rubbish trapping the water. If the problem still persists after cleaning the valve, then you could opt for repairing it. If that doesn’t solve the problem either, then it’s time to replace the valve. Do you have any other plumbing-related questions? Check out our useful article on backflow in plumbing, or shoot us an email!